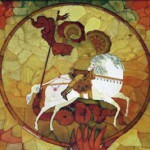 Amber mosaics by Alexandr Zhuravlev. Art restorer Alexandr Alexandrovich Zhuravlev (25.08.1943 – 27.12.2009 tragically died) devoted all his life to art. 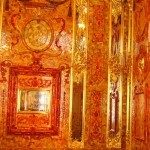 His name is the whole epoch of art processing and restoration of amber in Russia. 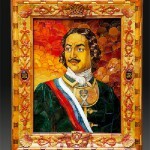 Painter and restorer of the highest category, a member of the World Council of Amber, a member of the Union of Artists of Russia. 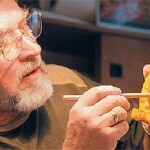 At age of 70 he participated in the creation of the Museum of Amber in Kaliningrad. 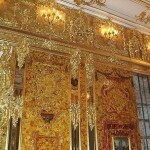 Alexandr Zhuravlev was the head of the Amber Room restoration project at the Catherine Palace (1981 – 1997) in Tsarskoye Selo. With his direct participation developed methods, scientific approaches and technologies that allowed to revive the lost masterpiece of exclusive amber. Alexandr Zhuravlev was the artistic director of the the company “Amber House” founded in 2007. In a few years it had the greatest in the world collection of masterpieces from natural Baltic amber. Long-term cooperation of Alexandr Zhuravlev with the Kremlin Armory Museum and the St. Petersburg State Hermitage Museum as a restorer of amber and related materials (horn, ivory, meerschaum) brought back to life a monument of history and culture. Great sense of form, color, allowed the master to stay on a fundamentally different level of work and creativity. The most ambitious work of A. Zhuravlev is a monumental panel ‘Russia’, created in 2009 (240 x 120 cm, weight 70 kg). It consists of 3,000 fragments in a unique author’s technique. 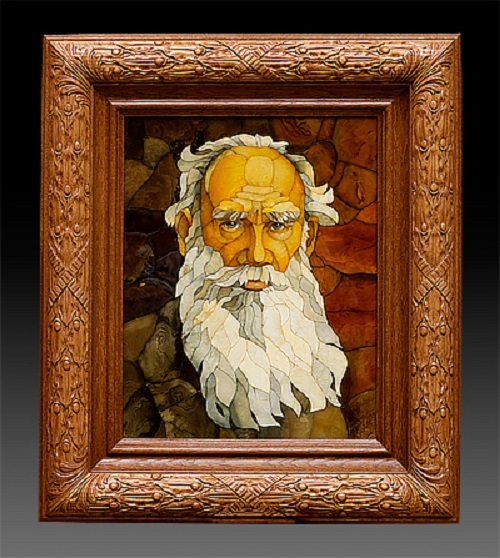 Amber mosaic is made in a non-traditional contemporary art, amber complex technique that combines the elements of a classic Florentine mosaic and amber set. 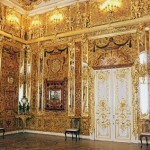 The only piece of amber as the monumental character was and still is the Amber Room. 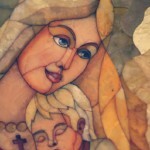 To date, Alexander Zhuravlev is the sole author of beautiful mosaic portraits and monumental panels made by him in 1990s. 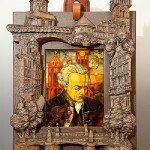 Creative workshop of Alexandr Zhuravlev exists since 1997. 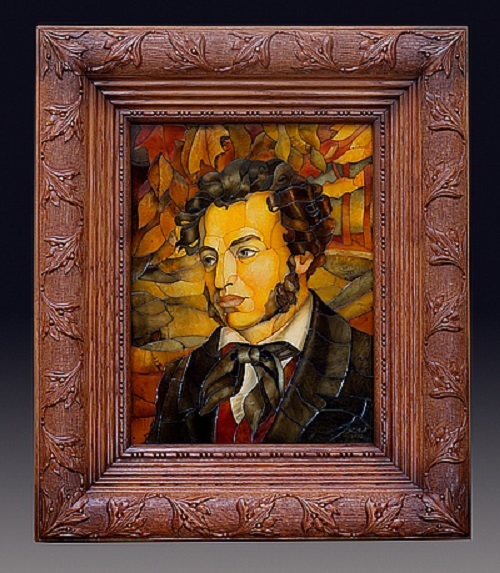 Over the years by the hands of master were created many portraits of historical figures – Natsume Soseki, Yuri Gagarin, Pyotr Tchaikovsky, Tolstoy, Immanuel Kant, Alexander Pushkin, Emperor Alexander II, Emperor Peter I, as well as a number of religious works. 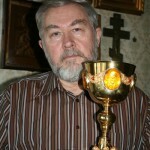 Among them – the crucifixion and Panagia, carved frame for the Vladimir Icon of the Mother of God, chalices – Communion cups. 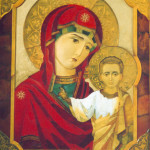 With the love and attention were created images of the Kazan Mother of God and the Archangel Gabriel (‘Golden Hair Angel’). 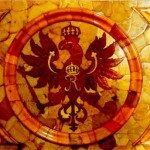 As a restorer Alexander successfully worked in museums in Kaliningrad, Moscow and St. Petersburg, preserving and restoring works of art made ​​of amber in XVII-XVIII centuries, including the lectern of Ivan the Terrible, staff, Patriarch Filaret, cane of Catherine II, a mirror of Peter I and many other artworks. 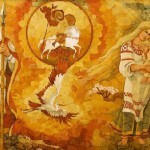 30 years of a life Alexandr Zhuravlev devoted to the work with amber. 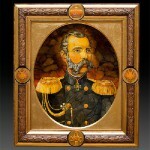 He was able to create his own unique and inimitable world of Amber, his works are on almost every continent and in private collections and museums in the United States, Denmark, Lithuania, Poland, Germany, Japan, and of course, Russia.